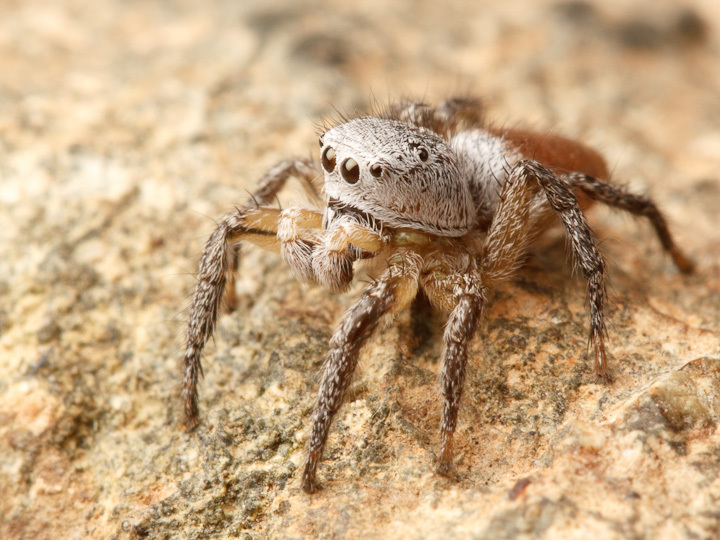 Last week, Catherine Scott, Sam Evans and I returned to the Annacis Island exit ramp to see the amazing array of salticids in all their glory. A rather odd place for a Weekend Expedition, but we found there is abundant life to be found in a noisy, chaotic industrial zone roadway. 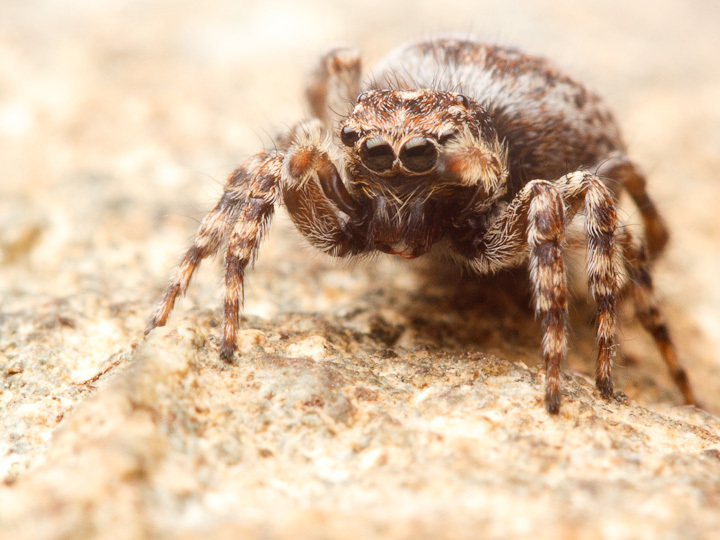 Believe it or not, a concrete barrier provides great habitat for spiders! All the cracks, gaps and holes are good for retreats, and the busy roadway provides an endless source of maimed and stunned insects to serve as prey. 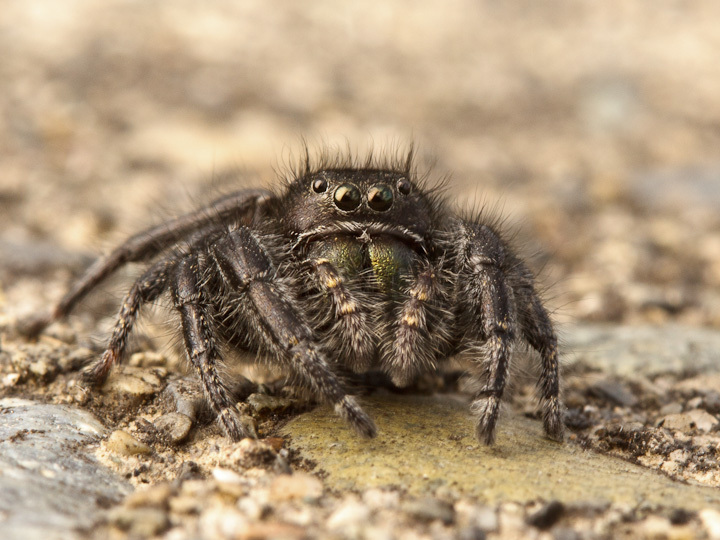 Most of the jumpers we found were smaller sized, but there were a few larger Phidippus as well. This Phidippus female looks especially pretty on her drab background. 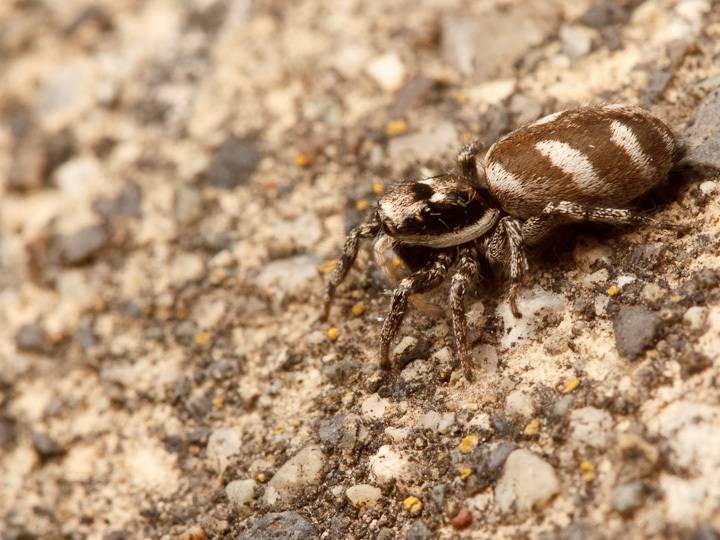 One of the most common spiders was Salticus scenicus, the introduced Zebra Jumper. Here a Salticus scenicus female munches on a maimed moth. 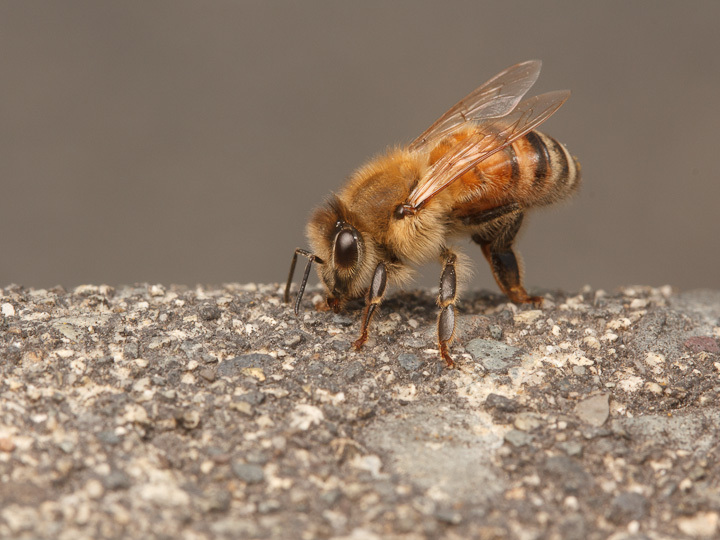 Other arthropods are to be found on the concrete as well, such as ground beetles, ants and honeybees. 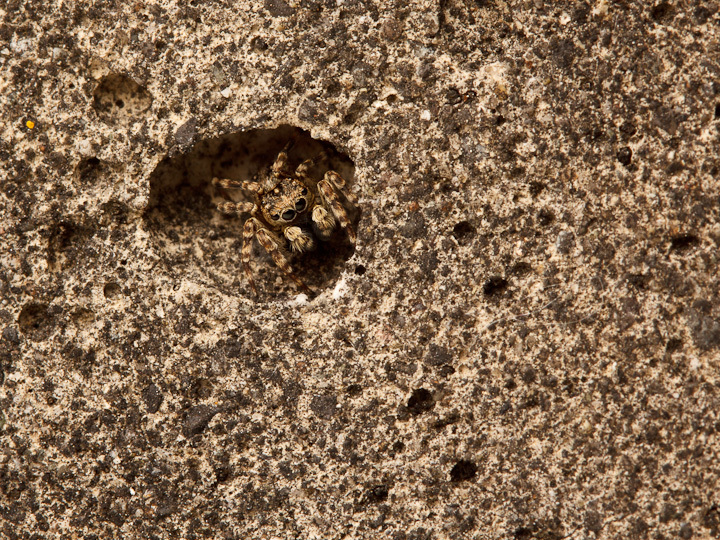 We found this crab spider in the rock fill of the bridge. 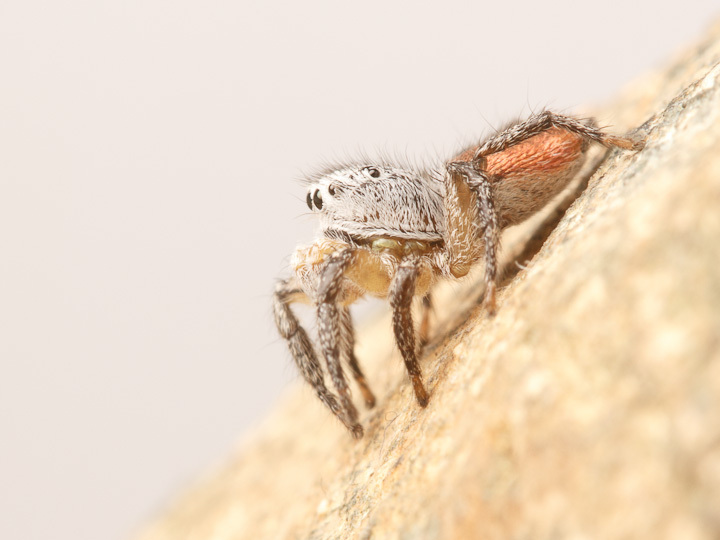 It has a colouration reminiscent of Evarcha jumping spiders. 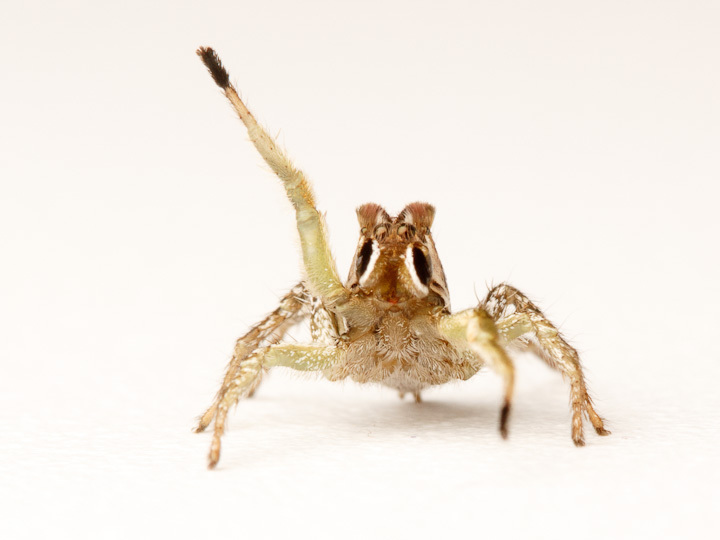 I am not sure who this cutie is, but she kept raising her palps up in a really endearing way. Here is an Evarcha showing off some stunning eyes. 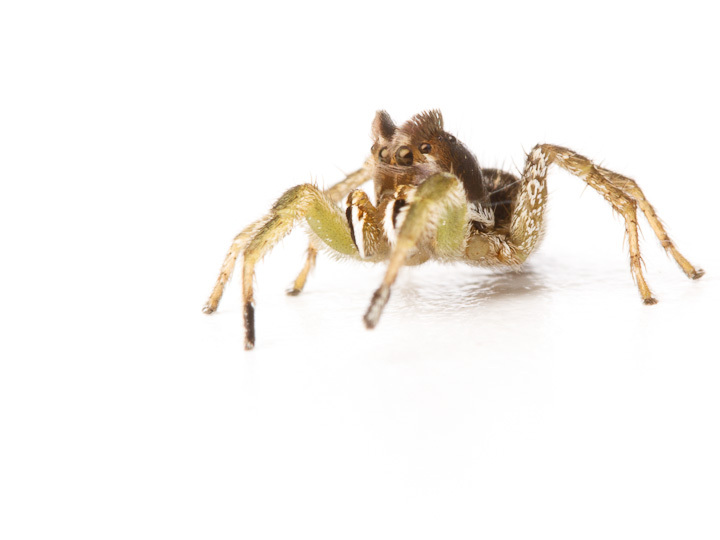 I did manage to find another male Habronattus decorus! Their colouration is remarkable, but it is hard to convey in a photo! 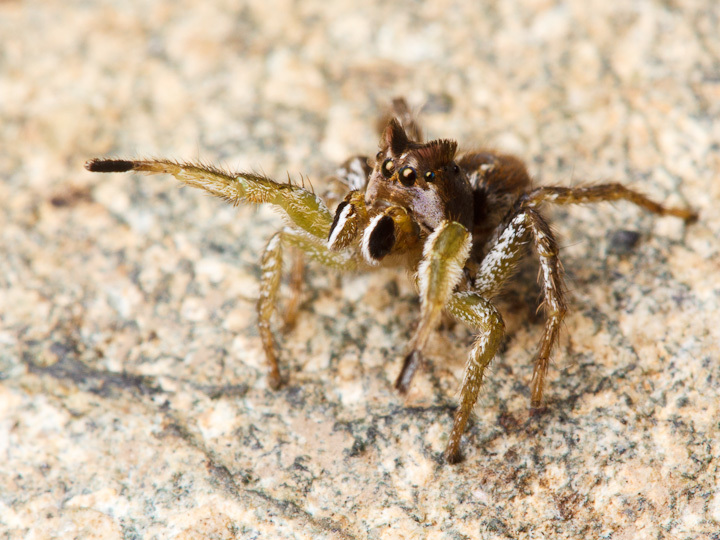 Catherine and Sam found a couple male Habronattus ophrys males! We had no idea these beauties were to be found here; we had found them previously at Iona Beach. 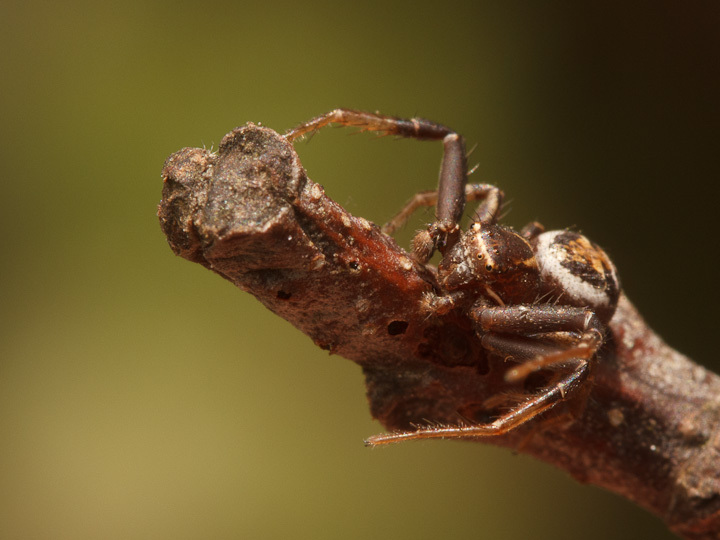 Behold the awesome eyebrows and palps! 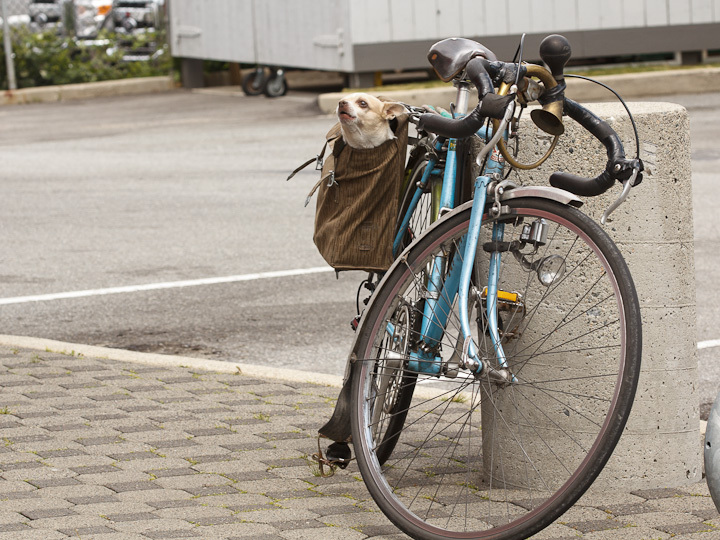 We stopped for some emergency calories at a local organic eating establishment McDonald’s and found this interesting contraption, well guarded by a furious chihuahua! ← First Coelioxys of 2014! Sean, your work is excellent. 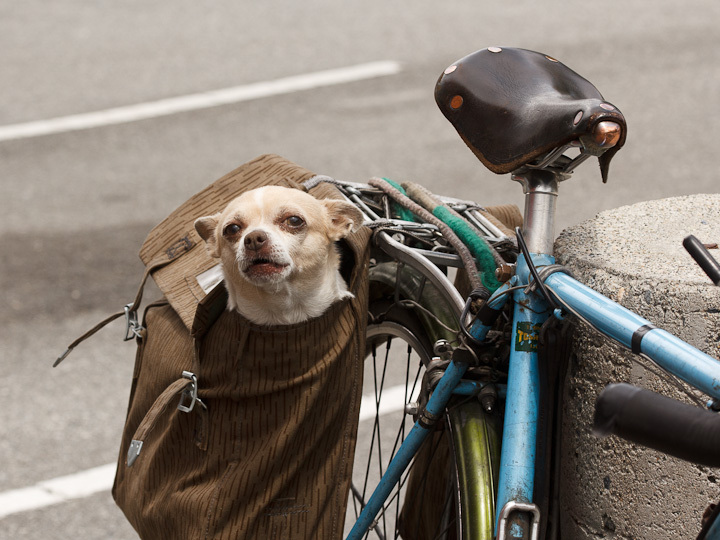 I enjoy all your stuff. 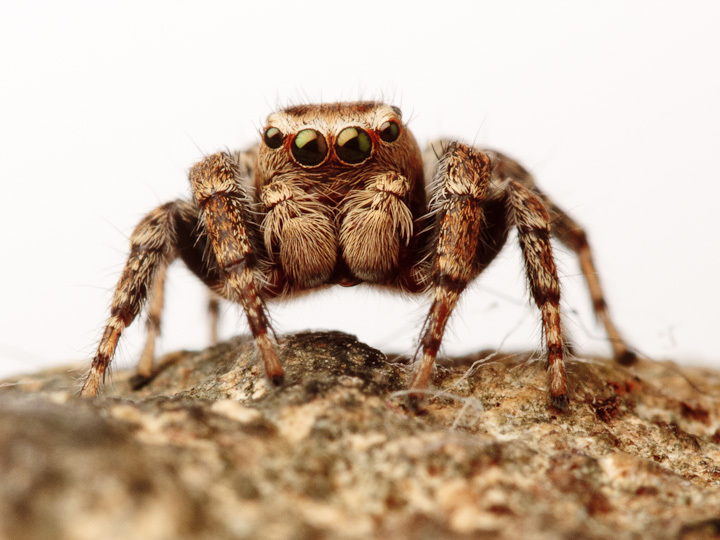 Great job documenting the diversity of salticids at such an unlikely location. Thanks! We will continue searching for these and see whether we can turn up some more good locations! Interestingly, across the bridge to the north there is nothing but S. scenicus.